Orlin Milinov, 15 November 2017. 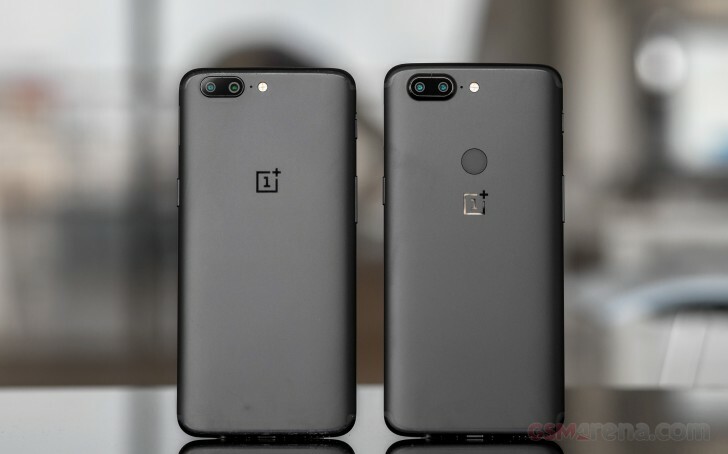 A couple of mil taller, a mil narrower and just as thin as the OnePlus 5, the OnePlus 5T is barely distinguishable from its predecessor upon a casual glance. It's very much the same fit and finish and the matte black aluminum unibody makes for an understated, classy look. One notable difference between the two is the fingerprint reader placement - the tall display leaves no room on the front. Instead of pulling an Apple and ditching it altogether, OnePlus has done the reasonable thing and put the sensor on the back, above the '1+' logo. It's the front where the actual big change is, 6 inches big. A 6-inch 18:9 display has replaced the classic 5.5-inch FullHD unit of the old model. 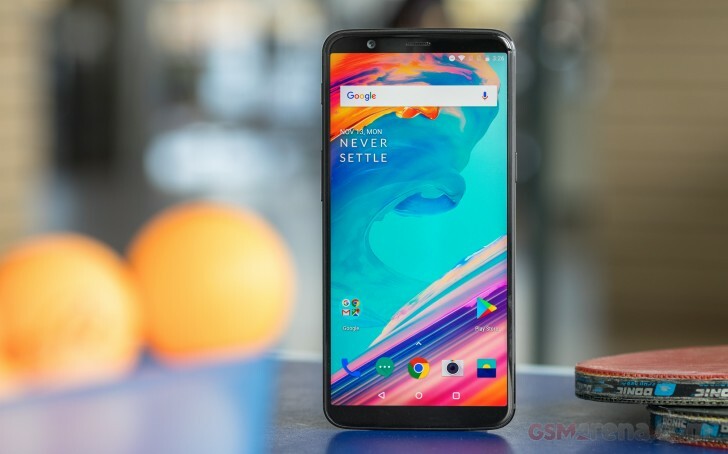 It's still AMOLED, Optic AMOLED in OnePlus' terms, and since it now covers most of the face of the phone, it's gotten a 'full' moniker - 'Full Optic AMOLED' is quite a mouthful, but we like the screen. It is a beautiful display, and even though we don't have the numbers yet, it seems to be pretty bright. It's also got a bunch of color modes to satisfy people on both ends of the punchy-to-accurate spectrum. We tend to be leaning towards punchy, but it never hurts to have options. We didn't observe any unpleasant color shift at odd angles - there's no Pixel 2 XL-style blue tint. It's a little sad we need to point it out. OnePlus is really making a big deal out of its face recognition, and we almost dismissed it as a marketing ploy to put the 5T in the same sentence as the iPhone X. Boy, were we wrong. Preliminary testing proved it's super-fast, works at various angles, unlocks in the dark (slightly slower, as it needs to light up the screen to see you), and won't unlock unless you have an eye open. Pretty neat. 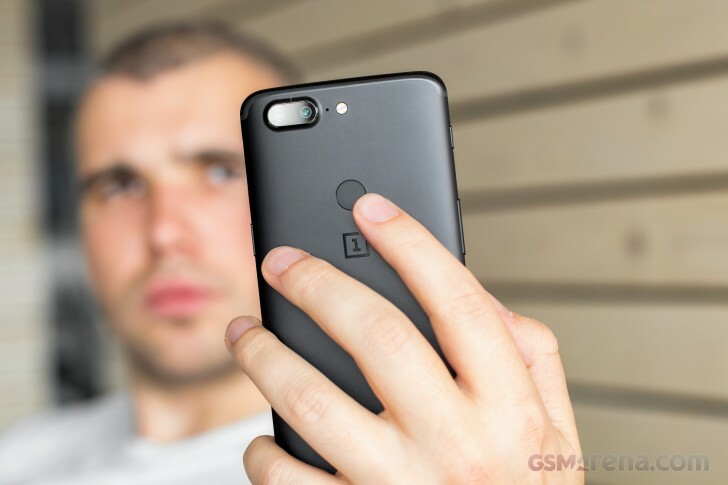 An exclusive feature in the Android world, OnePlus' three-position mute switch is still here, positioned high on the left side of the phone. Sadly, just like the 5, the 5T isn't water resistant - most other flagships have an IP67 or IP68 rating. There are no stereo speakers, either. On a positive note, there's a headphone jack - we'll be advocating for those to our dying breath. Okay, maybe we should dial down the drama, but you get the point. 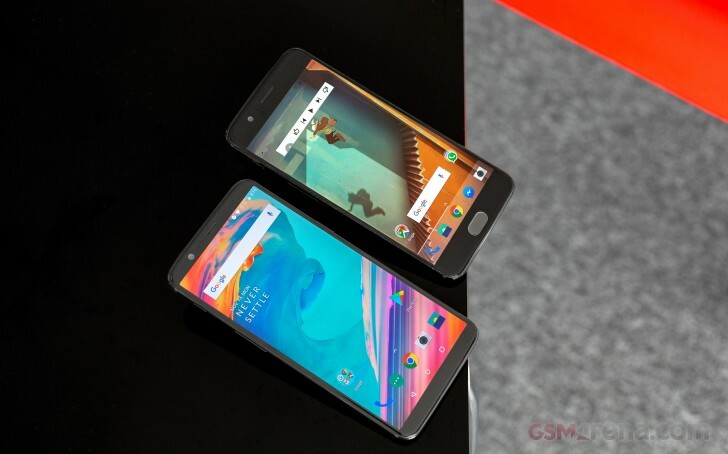 The phone runs Android 7.1.1 - it would have been nice to see the 5T launch on Oreo. There's the proprietary Oxygen OS layer on top that adds a ton of functionality without making Android unrecognizable. Yes, that includes an auto brightness toggle in the notifications shade. Hooray! Okay, let's crank up the brightness and go outside to take some photos.